Neptune (the god of sea) dowered Lesvos with crystal clear sea water and Hephaestus (the god of fire and volcanos) additionally donated 5(!) thermal springs, unique phenomenon for the size of the island!Obviously, the hot springs of Lesvos have been well known since antiquity. They are ideally situated in areas that allow one to enjoy the peaceful surroundings, amazing scenery and the great relaxing and soothing experience. In the springs infrastructure also included changing clothes and shower facilities. Unfortunately until now, the springs of Lesvos lacking in luxury as you would find it in a spa at other parts of Greece. The baths are easily accessible by car. None of them are sulphide, so you can enjoy your bath without the characteristic odour.. Hot Springs of Polichnitos village : They are at the western part of the island, southwest of Polichnitos. 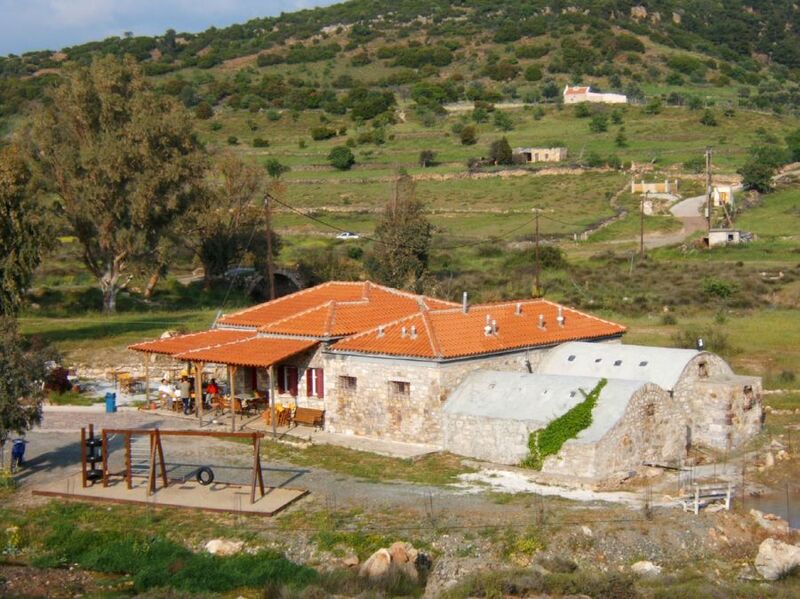 There are five hot springs which flow from the banks of the river Almyropotamos, 60 m. above sea level. The Municipality of Polichnitos has renovated two of them. The spring nearest to the bathhouse has a temperature of 87.6oC (1.6-6 units of radioactivity), a fact that makes it the hottest spring in Europe. They contain chlorine and sodium and are recommended for the treatment of sciatica, muscular rheumatism, and gynaecological disorders. 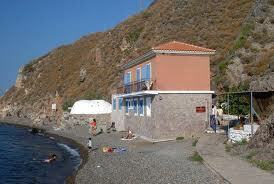 Loutropoleos Thermis : They are northwestern of Mytilene, at the area of Thermi. As the large number of Hellenistic marbles, Roman inscriptions and Ottoman buildings found in the area indicate they have been used since ancient times. They are ferrous, with an average temperature of 46.9o C (0.6 units of radioactivity) and are recommended for the treatment of rheumatism, skin diseases and digestive trouble. “Therma” at Geras Gulf : They are in the eastern coasts of the Bay of Geras. Archaeological finds prove that they too have been used since ancient times. During the years of the Turkish occupation they were renovated in the model of Turkish baths (“hamam”). Today they are under the jurisdiction of the Municipality of Mytilene. The water has a temperature of 39.5oC (1.8 units of radioactivity) and is sub saline, carbonic, contains chlorine and is recommended for the treatment of problems of the abdominal area, dropsy and other diseases. Hamam (Turkish bath) of Mesagros: There you will experience till now unexplored methods of relaxation and beauty with an oriental influence. It has been created a place of high aesthetics, which in combination with the highly trained staff will help you to escape from the rigours of everyday life. In a hamam constructed in 1898 awareness, sensitivity and relaxation unite to enable you to appreciate the uniqueness of the Mesagros Hamam. It offers you the possibility to experience unforgettable moments in an area where yesterday meets the present. 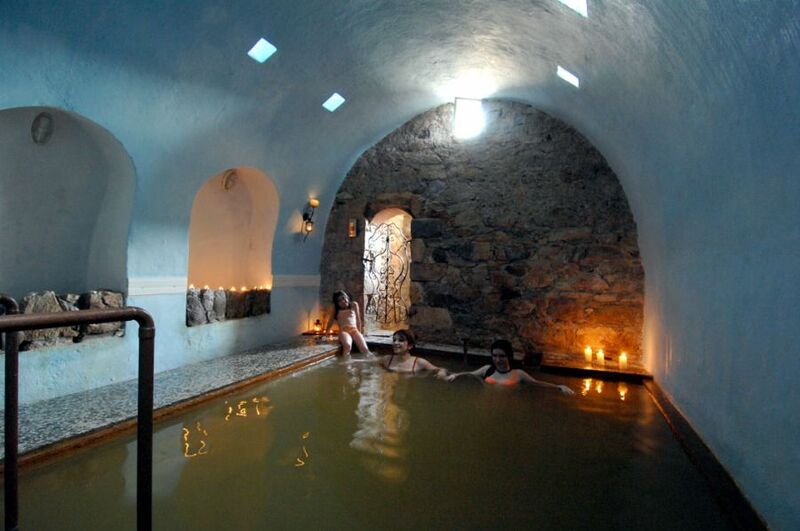 Mesagros Hamam services: The Mesagros Hamam is open to both men and women. Make a reservation with your friends or with your family and feel secure in the privacy of the environs. Personal locker for your clothes, towels (face and body), special hamam towels (pestemal), special hamam clogs (takunya) and of course the special hamam glove (kese) for body peeling. Cardiovascular problems, kidney malfunctions, liver malfunctions, asthma, high blood pressure, low blood pressure, varicose veins. 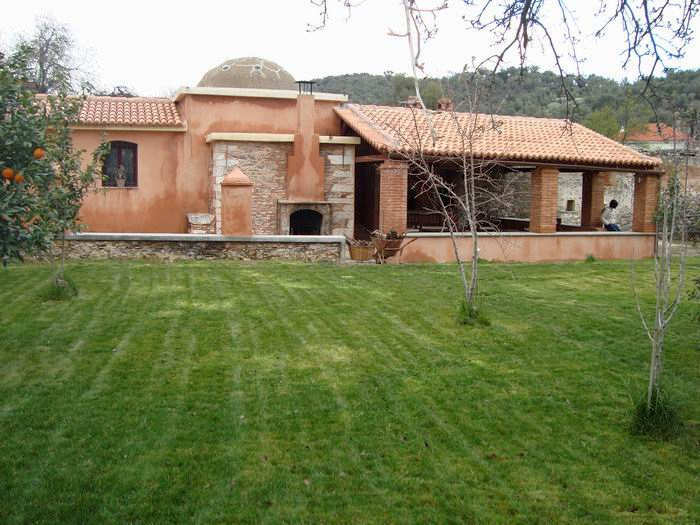 For further information or to organize your visit to Lesvos for your thermal showers or hamam baths, please fill out the request form and we will contact you very soon! 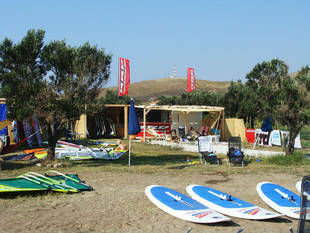 The guests of Lesvos have the chance to enjoy their favorite sport windsurf or kitesurf at the Sigri Windsurf-Kitesurf center which is situated on the north end of the bay in Sigri. There they offer them the best and newest equipment. 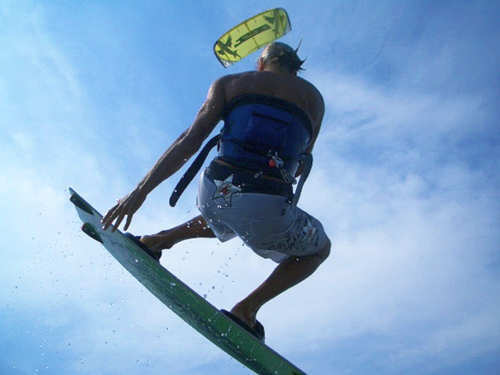 For beginners they have got professional surf teachers, who help them to gain experience in surfing. Furthermore, they have got Bic Boards and very light-weight Simmer sails for use. On the surfbar they provide their guests delicious toasts and hot and cold drinks. Of course, they also have got lots of sun loungers and sun shadow on the beach area. If there is no wind at all they offer SUP boards and bikes (small charge). For safety reason they have a motorboat at the station. Last but not least they organize a barbecue for the guests once a week. The Meltemi is in the north-east part of the Aegeis stronger than in the other parts of the regions. The wind comes from the black sea and blows over the flat water. The Meltemi gets stronger because of the mountains and due to the thermal. Moreover, Sigri is directly situated in the wind zone and both winds (the north and the south wind) blow through the village. That‘s why Sigri has got an unbelievable good wind statistic! Sigri has got 5 spots in an area of 5 km! They also organize safaris to enable guests to get to know all these five spots. They go on safaris 1 or 2 times per week. Training for windsurf beginners, training for kitesurf beginners, advanced courses and training, rental equipment for wind & kitesurf, camping and exploring, mountain - bikes rental and much more. For more information or to organize your visit to Lesvos for windsurfing or kitesurfing, fill out the request form and we will reply immediately! 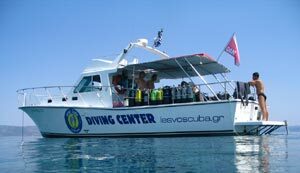 The LESVOS SCUBA OCEANIC CENTRE is the only diving centre of the island and offers all the facilities in case you want to be occupied with this amazing sea sport! LESVOS SCUBA OCEANIC CENTRE is licensed by the Central Port Authority of Mytilene (Ministry of Merchant Marine) and it is an accredited PADI (PADI RESORT) centre and insured with DAN. 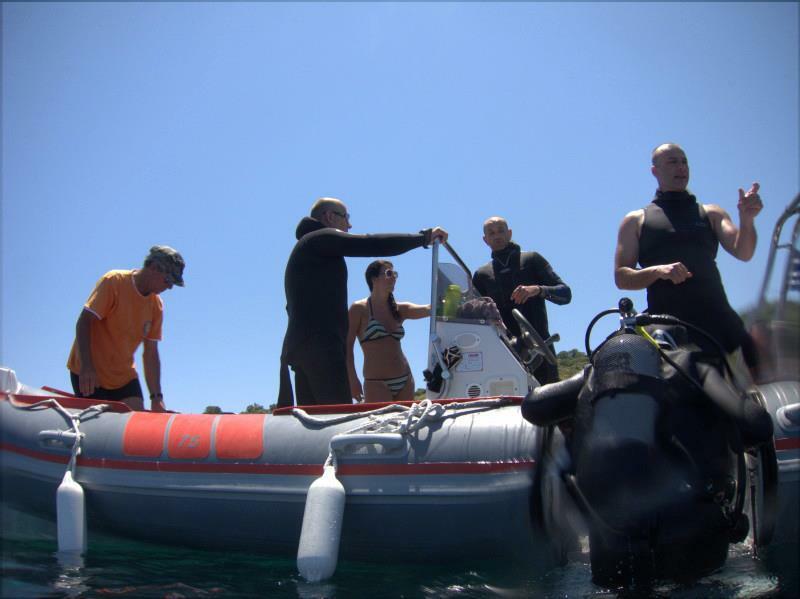 Its instructors have been certified by PADI, CMAS and the Greek Diving Federation, applying the PADI programmes throughout all of our training levels. Its infrastructure boasts a new 12-metre-long speed boat, a 7-metre long inflatable boat, two (2) PARAMINA compressors, 60 dive tanks, 30 complete diving sets and two bases on the beach. It can serve beginners, amateur self-taught divers and those very experienced alike, offering really unforgettable dives in the dark blue, crystal-clear waters of Lesvos. 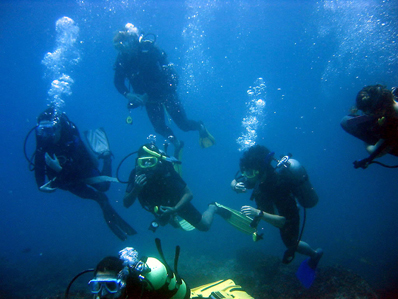 The diving sites include 3 shipwrecks, 2 cave-dives, wall dives and a large number of dives at beautiful rock-islands. The boat ride from either of our two bases to the dive site ranges from 5 to 40 minutes. Constantly upgrading, while safety, comfort, customer service and entertainment are an integral part of its work. For more information or to organize your dive in Lesvos, fill in the form of interest and we will contact you soon!